We at Magical Vacations are incredibly proud of the Guest Service we provide! Below, you will find some of our guests that have raved about their favorite agent! If you would like to leave your feedback concerning your recent vacation with MV, please fill out our Guestimonial Form at the bottom of this page! Just look for the form box, featuring the Red & White Polka Dots! REMEMBER... you will need to SCROLL within the box in order to be able to write your Guestimonial for your favorite agent! It was amazing to work with Valerie in planning our 1st Disney family vacation! Within one weekend, Valerie has us booked and I had no stress or worries. We just had to show up and have fun! I was blown away with the attentiveness that we received from our agent, Melissa Fox. She went above and beyond what was expected of her. Our return flight to Buffalo was canceled as we sat on the runway, ready to take off from the Orlando Airport. We learned from our airline that we could not get another flight for four days back to Buffalo. I immediately contacted Melissa and she was able to secure reservations to go back to Disney for those four days, found a great rate for us (and an amazing room) at the Beach Club Resort, secured all of our FastPasses, Magical Express tickets and ParkHopper tickets, and even sent us a gift basket of goodies to our room!!!! In addition to all of this, she helped us with dinner reservations (while we were in the parks), was able to obtain a very rare FastPass (Flight of Passage) the day of, and got us started with our trip insurance when we returned home. She was INVALUABLE!!! I am currently planning our next trip to Disney and I would never book another trip there without her assistance. Melissa is also incredibly friendly responsive. THANK YOU! Incredible experience and Nikki helped us so much in planning the trip based on our families patterns and desires. I can’t imagine planning a trip like this without her expertise! We go to Disney World every year and enjoy every minute of it. Each trip we go on, we usually get to do everything we want to do. This could not be done without the help of Nikki R! She always gets our reservations booked, our FastPasses booked, and she is there whenever we have questions. She knows her Disney and always looks out for our best interests! We worked with Nikki R., she worked with us for months to plan the perfect vacation for our family. Our first trip to Disney was awesome, and carefree thanks to her. We are truly grateful for her efforts, and glad we chose to work with a travel agent after seeing all of the details that go into planning a trip the right way. Thank you Nikki & Magical Vacations, we will plan another trip with you! I hadn’t been to Disney since I was a kid, but Christy made the planning process so easy! She made suggestions for restaurants for dining and rides for fast pass, and even sent me emails while we were in Orlando letting me know about special events and photo ops to look for! I can’t wait to have her plan another trip for us again in the future. I highly recommend Magical Vacations for planning a trip to Disney! My agent, Susan K, was amazing! She was so nice, helpful, and quick to respond to any question I had. Thanks to Susan and Magical Vacations, planning Disney was stress-free and our vacation was very organized! We had a wonderful trip to Universal. Thanks to Sue, everything was perfectly planned. We were able to see everything we wanted and really enjoyed our time as a family. Nikki D. Best vacation ever! Our agent planned everything perfectly! My grandkids had the best time. We will treasure this magical time forever! Everything Debbie did was amazing. I seriously didn't know where to start. From planning our meals, to suggesting rides for our fast passes based on what I told her about our family, could not have been more perfect for us. Then of course answering all of my questions was very helpful! Thank you, Debbie!!! Valerie W did an outstanding job helping plan our family’s first Disney trip. We all had a wonderful time. Thanks to her meticulous planning and insider knowledge of how things work at Disney, our trip went smoothly. Our 10 month, 3 and 16-year-old all had a great time. While flying home from Disney, my husband and I were already talking about doing this again once a year. I couldn’t imagine planning this trip without Valerie’s help. Thanks again! Melissa F was an amazing agent! This is my girls first time going to Disneyworld and I wanted to make sure they have an amazing time. Melissa asked me what my girls would like to do and see and booked everything for me. It took a lot of stress off of my shoulders and she answered all of my questions. We leave tomorrow and we could not be more excited! When the Minnie Box came it was filled with personalized goodies and my girls' eyes were so full of excitement! I can not thank Melissa Fox enough for making our trip so magical! .....but what a GREAT time was had by all. Our grandchildren can not stop talking about what we did and are already asking when we can all go back. After sending our children and grandchildren home, Linda and I enjoyed an amazing 4 day cruise and a two-day stay on Castaway Cay. Our return to Disneyworld for four days was a little slower-paced which allowed us to revisit some of our favorite attractions and restaurants as a couple. Thank you for all the time you spent making, and changing, and changing, and re-changing our plans, FASTPASSES, and dining reservations for our group of 15. You were always quick to response to our questions and requests. Everything that was planned, happened. The Minnie box was extremely helpful in keeping us organized. It was the trip that Linda and I envisioned to celebrate our 40th anniversary when we began this process with you a year ago. Thank you, Jodie, for making this trip a lasting memory for our family. We have now used Sue with Magical Vacations for our two trips to Disney World. We couldn't imagine planning a trip to Disney any other way! Sue makes it all very easy - hotel reservations, parks, fast passes, restaurants - everything! Sue has suggested excellent restaurants to us that we probably never would have discovered on our own. She has also gotten us reservations at popular restaurants like the Beast's Castle that we never would have been able to get on our own. 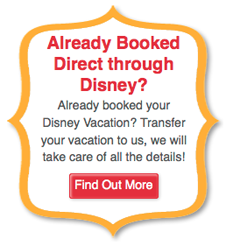 Sue goes above and beyond to make sure her clients have an easy, worry-free, "magical" Disney vacation! Sue did an amazing job on our trip. She was incredibly attentive to our needs and wants, and she really took the time to explain everything. We went with our family, my brother's family, my parents, and my sister. The party was huge, and truth be told, we're all kind of crazy and all over the place. She fielded questions with ease and kept up with our ever-changing demands. Seriously, the amount of patience she had for us was astounding. Going to Disney is not a cheap trip, but Sue always had our best interest in mind. She even saved us a bunch of money and caught a sale on an even better hotel! We are so grateful for everything she did, and I without question recommend her services! You WILL NOT be disappointed! Thanks so much, Sue! We took our kids to Disney for the first time this year. That morning, our flight was canceled and all I had to do was to make one call to Debbie and she was able to get our trip moved back a day and walked us through everything! She booked us at THE best restaurants and my kids saw all their favorite characters. She had everything planned for each day but we were also free to do whatever we wanted as well. I have already recommended her to several of my friends and I couldn't imagine doing a Disney trip again without her (Debbie L) and her enormous amount of help and knowledge! Our family of five took our first trip to Disney World in June, and it was unforgettable. The travel plans, resort accommodations, meals, park tickets and ride reservations were all handled by our agent, Sue, so all we had to worry about was creating magical memories as a family. My husband and I had not been to Disney since we were kids, so it was very appealing to have a Disney expert coordinate our trip and make sure we were able to maximize our time and do everything on our list. Sue made sure our oldest daughter got to meet Rapunzel, that our son who loves dinosaurs was able to eat at T.Rex in Disney Springs, and she even got us last minute reservations at Cinderella's Royal Table and Ohana! She made herself available to take all our questions in the weeks leading up to the trip, and when an issue came up regarding our Magic Bands during the trip, she handled it for us! Nearly six months later, the kids are still talking about all of the fun we had! Thank you so much to Sue for coordinating our wonderful Disney World vacation! We had three different families that were traveling together and she was able to put together wonderful meals, rides, and experiences that everyone could enjoy! My kids already want to go back because they had so much fun! Sue knows so much about all aspects of Disney; she is an encyclopedia of information. It made the planning process so much easier! Thank you, Sue, for your hard work to make our vacation so wonderfully memorable!! We have done many Disney vacations on our own, but this year we decided to try an agent. Luckily we got paired with the amazing Melissa Fox, and she has officially spoiled us for all future trips. Her planning advice was invaluable and her customer service was second to none! Hotel deals, dining reservations, and Fastpass plans just "magically" showed up in my inbox, which left us with all of the fun of planning and none of the stress. From now on, she (Melissa F) will be our first call in planning any future Disney trips. Susan was wonderful! She helped us through the whole process! She (Susan) helped us determine the best dining reservations and taught us how to use the fast passes most efficiently. It made the whole process so much easier having someone who knew the parks so well and it was so convenient to make payments towards the trip. It wouldnt have been such an awesome time without her expertise. Melissa F. did an amazing job helping us plan our Disney trip! She was incredibly patient, flexible and thorough with us throughout the entire planning process. She was easily accessible through phone, email and in-person conversations. After getting to know us, she gave us real advice about what she thought we would enjoy. She even contacted us while we were in Disney to make sure that everything was going as planned. My family had an unforgettable time while at Disney, we couldn't imagine a better vacation. I highly recommend her to plan your next Disney vacation. Magical wishes came true with Melissa! We just got back from a magical 6-night visit to Walt Disney World that wouldn’t have been possible without the planning and expertise of our amazing Magical Vacations travel agent. Melissa F. was absolutely fantastic to work with! On top of being extremely responsive during the pre-trip planning phase, she was able to get us everything on our fastpass and ADR wishlist and went above and beyond numerous times to help add extra pixie dust to our trip. One example of this was that the day before our character breakfast, we wanted to add one person to our rsvp. Melissa quickly took care of this for us and our plus one said that the breakfast and that morning was one of the most memorable parts of the trip for her! I am a planner at heart and really enjoy the pre trip planning phase! Melissa let me take the reigns for our trip while making suggestions to enhance our experience and at times gently reminding me to set realistic expectations-this was so valuable for me because I have a tendency to overbook and run my family ragged! We had the perfect balance of experiencing everything we set out to do as well as time to kick back, relax, and recharge the good ‘ol batteries! Thank you so much, to both Melissa and Magical Vacations! Nikki made our vacation magical! She build an amazing itinerary in a short amount of time, and made everything special for our family. We couldn't have done Disney without her! She was also very kind, friendly, and had outstanding customer service. Nikki was very quick to respond to questions, and has great experience. Our Magical Agent was fantastic. From day 1 Melissa F. was there and guiding me all the way. We covered everything on our wish list and much more. We were a family of ten and we all had a fabulous experience. Disney truly is a Magical Place! TX Melissa was so helpful with all my questions. And in the end she had all our FP and shows and eating arrangements lined out that I didn't have to worry about a single thing the entire trip. It was Magical. After many months of planning, we couldn't have had a better trip. Everything ran so smoothly from our hotel (loved it) to our days at the parks. All our FP were lined up so if we got separated we would be able to meet up without long waits. Melissa F covered all the bases and we were able to see and do everything there was to do at all four parks. A very memorable vacation! fastpasses and help us get checked in. She went above and beyond to help us navigate through any difficulties our family faced, from having to switch some dates around to figuring out what to do when one of the members in our party had to cancel last minute. She even checked in with us DURING our vacation and answered any questions I had along the way. I highly recommend the services provided through this company, and in particular, Debbie. She is passionate and dedicated to helping her clients have the best Disney experience possible. I will never plan another Disney vacation without her! Nikki was very helpful and answered my emails in a prompt and timely manner. I truly appreciated her phoning Disney on my behalf for various needs as well as booking my fast pass plus reservations. It was so wonderful to not have to worry about getting up early to book them myself! My vacation planning was much less stressful, thanks to Nikki D.
Susan did a great job planning our vacation. She recommended a wonderful hotel that was perfect for our 5 year old! She was able to get every fastpass we requested and they were all booked in the morning, leaving us the remainder of the day to get more fastpasses. We can't wait to use her (Susan K) again for our next trip! Thanks again! Nikki took such great care in meeting our wants and needs for our trip! After receiving a recommendation, I contacted Nikki D. and she got right to work making the details and arrangements flawless! It was so nice having everything in place. It took the pressure off and we just showed up and enjoyed our trip! After returning, Nikki was interested in hearing how our trip was and I was thrilled to meet with her and share our adventure. I would highly recommend Nikki as a passionate, detail-oriented gal who wants to make your wishes come true! We certainly did not make it easy on our Magical Planner Nikki Dugger. We had a group of 9 people needing 3 rooms, using 3 credit cards, 2 separate hotels, infants, strollers, scooters, etc. and our trip was about as smooth as it could get. She was able to get every dining reservation and every fast pass we asked for and then some! Nikki’s knowledge of Disney was a tremendous help! Can’t wait to start planning our next one! Thanks again! My girls had a wonderful first experience at Disney all because of Nikki D. and her team at Magical Vacations. Her recommendations for our fast passes/restaurants were spot on to what the age of our children enjoys. This was one of the most seamless vacations that we have been on all due in part to Nikki D. and her wonderful planning. I cannot even begin to say how invaluable Melissa was to our family in planning our first Disney vacation. I told her what we wanted to do, our budget and she helped me put together an experience that fit both perfectly! Melissa answered all questions in an extremely timely manner and if she was going to take longer to answer emails (which happened maybe twice in the 11 months of planning), she communicated that as well. She helped us tailor our vacation - even suggesting what parks to do on what days and helped us plan ahead for “middle of the week meltdown” (yep. That is a thing). She was as excited about our vacation as we were. She even helped us navigate fast passes and changed a dinner reservation while we were there. I ended up texting her almost as many pics as I did our families. All I felt like she was a part of our vacation. I would highly recommend Melissa to anyone planning a Disney vacation. She is kind, competent, timely and knows her Disney! We will definitely be going back and utilizing her help for the next trip! My husband and I had no idea where to begin when planning to take our family to Disney World. Nikki D was recommended to us by a friend. She was helpful and kind, and answered all of our crazy questions without hesitation! She planned a most amazing experience for our family! She considered the ages of our kids and planned activities and rides that matched exactly what we were hoping to do. Our girls have already asked to go back, and we will use Nikki D again! Nikki D takes all the guesswork out of our magical vacation! She immediately texts me back anytime I would text or email her. she’s so sweet and friendly! We have used her twice and will definitely use her again!! She’s (Nikki D) the best! Our experience was unforgettable! Sue K was a delight to work with and made our families first Disney vacation truly magical! We couldn’t imagine doing it without her guidance. She was very knowledgeable and patient throughout the entire process. Sue K is a priceless asset to your team. We decided a rather last minute to go to Disney. We had about 6 weeks to plan. Hillary was extremely helpful. The whole process was painless. Hillary and I messaged back and forth a bit, and she booked everything for us. She never did anything without me fully understanding what was going on or without my permission. She checked us in online a few weeks before our trip. I couldn't believe how easy it was once we got to the hotel. All we had to do was enter our room. I highly recommend Hillary for everything Disney. Sue was very easy to work with and helped make our trip wonderful. She helped make sure we were prepared with everything we would need including booking a stroller to be delivered where we were staying. Our fast passes were ready and just what we wanted. She also booked our character breakfast. Sue was wonderful and we’ll be sure to use her for our next trip! Susan made our first family trip to Walt Disney World as easy as possible! It was great to have her help us choose attractions and restaurants and then to sit back and have her book all the reservations and Fast Passes. And she got us reservations for all the hardest-to-get restaurants! Thanks, Susan! This was the first time I ever used a travel agent. I was always nervous to use a travel agent because I thought it would be more expensive than I could find it for or the agent would be too pushy. Then I worked with Sue K. Sue was incredible in planning for our family of 18 trip to Disney. She guided us every step of the way, from booking meals, fast passes, hotel rooms, to park passes. She gave us recommendations for restaurants, new rides and attractions. She answered all calls and texts in a timely fashion and NEVER made us feel bad for asking the same question over again. Sue K. Made our trip the best experience ever!! I will definitely use her expertise on our next Disney trip! Sue was great! She made the trip run very smoothly. Planning a trip can be extremely stressful, especially one with this much detail but Sue made it stress-free for us! Disney multiple times my whole life, but never had done what I view as an "ideal Disney experience". Staying on park property, using Disney transportation, planning out my day, etc. I've always just gone on a whim and set my own pace, for better or worse. Working with Jen J. made things I would have had no idea how to handle SO EASY from the start. She worked with me in key places where i was floundering, such as getting a room last minute for what I was naive in knowing was a busy crazy runner weekend. I had enough to worry about with hoping not to die doing the First Order Challenge, that I was so grateful to have Jen there to keep me from panicking. We got a wonderful room on the Nemo side of the Art of Animation. Everything with transportation from the airport to resort to parks and back was all a breeze with Jen's expert knowledge. Managing my Dining Reservations, especially when I couldn't properly tell time, was super appreciated as well. Doing it all over again, I would absolutely want to go back to Jen and Magical Vacations. Not only for the ease but also because she was patient with my scatterbrain. Sue K. was a HUGE help in planning a Disney vacation for me AND my extended family of 17. From start to finish, Sue was there to answer any questions and give her honest recommendations that in the end, helped to make this a truly magical vacation. Thank you so much, Sue! We'd recommend you time and time again! Sue was great!!! She planned the best vacation for our 19 person family vacation. We loved the little book with our plans. It kept us on target. I would defiantly do it again. She (Susan K.) is great and organized. We love her!!!!!!! Our trip far exceeded our expectations. We had not been to Disney in over thirty years and were completely overwhelmed when we started to plan the trip. Our agent (Hillary F.)was amazing! She really listened to what we wanted out of our trip and was very conscious of our budget. She got all the reservations and fast passes. She even help us make a last minute change. She shared so many tips to make our trip great. We went during April vacation so at times it was crowded. However, with her help we seriously did not wait in any lines! I can’t say enough great things. My family kept thanking me for all of my planning because we had such an amazing time and hardly had to wait for things. I have to give most of the credit to Hillary. Now I just have to convince my husband to go back soon. We had a wonderful vacation for our whole family. Susan was able to get us some great discounts. We had almost 20 people on our trip and that was not an easy task, but couldn't have asked for a better time! We had a wonderful time in Disney this past November. Sue K. was the agent who assisted us in our planning, and she was fabulous. I gave her some specific information about our family and our likes/dislikes/interests, and she took it from there! I don't have the time to plan a trip like this, so Sue did it for us! And all of the dining, itineraries, fast passes, etc. were spot on! We truly had a hassle free, relaxing and fun trip because Sue took the time plan it out for us. She was amazing and we had the best trip we have ever had to Disney!! You can have complete confidence in Sue's knowledge and instincts on what is right for your family!! Thank you Sue!! We were in Disney over the Christmas holiday one of the busiest times of the year. Without the help of our agent, Susan K. we would not have been able to say we got to see and ride all of the attractions we wanted to. Because Sue scheduled our meals and fast passes all went smooth and wait times were not an issue for us. I would recommend her planning services to anyone planning a trip. It was and absolute joy to use Sue K and this company!! I would recommend it to all my friends and family. I will never do Disney again without their help. This was our first trip to Disney and Christy came highly recommended by a friend that had just utilized her services. She answered all of my questions (and I had many) and planned a fantastic, stress-free trip. Christy guided our choices making it very easy for us to select from options rather than being overwhelmed by the many options. She had an answer for everything and her responses were prompt and pleasant! She guided us on fast pass selections, parks, and dining options. Several occasions on our trip, my husband and in-laws raved about how well our trip was planned out. Our vacation would not have been the memorable and pleasurable experience it was without her! I have already recommended Christy A to several of our friends/family. I appreciate Sue’s help in planning our trip to Disney. My husband and I were surprising our kids and I think Sue was excited as we were when the kids found out. She gave me a lot of great insight into the must sees at each of the parks and the restaurants too. She took care of the fast passes and all our reservations. I knew I could call and ask her anything. It was such a relief knowing that she was there to help with whatever we needed. It was an amazing trip and I know that her hand in this made it so special! I would highly recommend Sue! Thanks to Sue, the bachelorette party for my new sister-in-law went flawlessly! Sue organized all of our fast passes, got a large group into Cinderella's Royal Table dining, and made last minute accommodations for vacationers without fail. I am lucky enough to know Sue as a good friend from work and have used her twice thus far for Disney vacations. She is timely, proactive, and a wonderful person! Thanks, Sue! We had a magical time. This was our first trip to Disney and Susan was a joy to work with. She answered all of my questions and planned a memorable trip. She helped us narrow down choices for resorts, fast passes, parks, and dining options. Because of her hard work, our trip was stress-free. I will definitely use her expertise to plan our next trip! Our trip would not have been successful without her (Susan K.)!